Thanks (Jo, Andy) for your further comments on my post on Ulrich’s new HR Transformation book, and also your comments on those left by one of Ulrich’s co-authors. Here are some further thoughts justifying my perspective and emphasising why I think readers should use my approach to HCM Strategy as the basis for their HR Transformations. 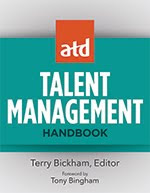 Firstly, I do agree with the books’ author that one of the problems with HR for the last 40 or 50 years is that it has focused from the inside/out – or rather, more specifically than this, the problem has been that the function has been focused on activities – on doing recruitment, performance management, development etc. I believe one of the highest value interventions Ulrich has provided the HR profession (and I agree there have been a few) has been to help us refocus on outcomes, or organisational capabilities. But I don’t think this has gone far enough. Particularly because I disagree with Ulrich (in his David Creelman interview) that almost every company with a good HR plan designs it around capabilities. I don’t see this happening – at least if we think about capabilities as strategic differentiators – so the Google, Apple and Pfizer, rather than the Rockwell type. By the way, I do understand organisational capability includes much more than just human capital and especially talent. 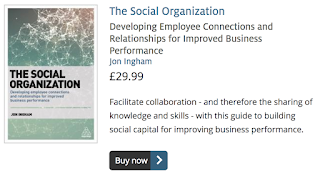 But I think it’s useful to think of capability split into its three constituent parts – human, organisational and social capital – as each of these need to be developed in very different ways. Even if this means that HR needs to think about the development of organisational, human and social capital elements to support one particular capability eg for innovation. The problem I think is Ulrich’s insistence on measuring value by the receiver, not the giver. I think this is an out-of-date distinction. For any level of value, HR and the business need to work together to identify and deliver value. And much of the value that HR provides is going to be opaque to customers and investors. But value is certainly the key concept. And in particular, the distinction between creating, and adding value. Adding value is about HR providing value through what is does in HR terms. And about using people as resources to help achieve existing business objectives. This is where I think Ulrich’s outside-in perspective leads. But I think that people are much more important than this. They deserve, and to maximise value, require, being seen as providers of human capital, and other organisational capabilities (rather than resources), and also to be treated in a way that recognises the way they provide the basis for competitive success. This is about creating value – HR providing value for the business by going beyond current objectives and looking at how people can help transform organisations in new and imaginative ways. And how people can be the basis for organisational capabilities which lead directly to competitive advantage. This perspective comes from looking inside-out. By looking at the existing capabilities or potential capabilities inside the organisation, and only then, checking on the external market conditions to identify those capabilities that can provide the basis for competitive advantage. True organisational capabilities have to be based on strengths that already exist, or other attributes of the organisation that can be developed into strengths. Organisational capabilities can’t be developed quickly if they don’t already exist. And this is the reason that an inside-out rather than outside-in approach is required for capabilities’ identification and development. I don’t think Andy’s challenge on GM is helpful either. I don’t think GM did have any differentiated capabilities – this is what led if to continue building unprofitable cars. If they had identified capabilities that existed in the organisation that would have enabled them to do things differently, I still think their future could have been very different for them than it has. So, as the HCM value chain shows, in an HCM approach, the focus moves from business impacts (outside-in) to organisational outcomes – or capabilities (inside-out). This, by the way, does much more than just ensures “HR is not just an afterthought of business” (which I would suggest corresponds to my value for money level in the HCM value matrix), and that it is also more than “part of business” (adding value) as well. Ensuring that HR creates as well as adds value, ensures HR is a driver for business success, a business player rather than a business partner, and a key source of competitive advantage. And this, I believe, is the future of HR for the next 40 or 50 years. Jon thank you for your provocative post on organizational capability and strategy. While I am not sure I fully understand what you are proposing, I am intrigued by the idea of "creating value vs. adding value." As a experienced HR professional who has worked in the HR area for 15+ years, I have been frustrated by the focus on activities (1990s), heartened by the concept of "adding value" (1990-2000s) but continue to be disheartened by the ongoing business practice of HR as an afterthought even when HR is "at the table". As I read your post, I think you are suggesting that we (HR) design/develop/bring to the business table the competitive people value that will drive the business...if that is on the mark, I think where HR struggles is first envisioning how to create and drive value, then articulating that value (without HR speak), breaking it into/translating the outcomes and objectives and then finally into tactical actions. I agree that GM is a poor example...they were "at the business table" and appeared to be adding value...employee engagement strategies, performance management strategies, wellness strategies, etc. yet the true people change to drive the business change never occurred. I look forward to continuing discussion on this as I want to understand how to create business value...like you I believe this is the future of HR. Great to hear from you and thanks for your comment. I think you summarise my point nicely, although of course, there is more to creating value than this as well. I could recommend you have a look at my book - Strategic Human Capital Management: Creating Value through People. 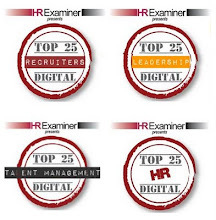 It was never as popular as HR Transformation will be, but made a lot more sense. But I think it's probably also my responsibility to be clearer about some of the key tools and models I use a lot and refer to endlessly in my blog, but have never really spelt out properly in this format. So - posts on Organisational Capability, HCM, Value Triangle, Creating Value, Value Chain and Value Matrix coming up over the next 2-3 months. I'll see if I can incorporate these into the blog's menu structure or highlight them in the side-bar as well. I hope you'll keep reading too - you should have been able to find my RSS button fairly easily! Quite an out of the box thinking. 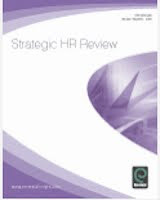 Given the reality of HR being an "after thought", I am compelled to review my thoughts on how HR strategy should evolve. I am beginning to see the way it has been. 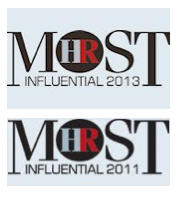 HR employed to play the "supportive role" in helping the business achieve its goals. Everything is "exclusively" outside biased, to the point the Executive management overlooks the importance of investing and building the HC capability factor. The other point that I would like to throw into your concept is the argument, how come companies find difficulties in implementing strategies?. From my personal experience and training engagements, I find it is closely linked to leadership behaviour and internal needs factor. I must say, from where I am currently, your model process makes real sense in elevating the rationale for buy-in and turning around the leadership paradigm towards value creation. I wonder how many would go for it. I would like to know more on what you said, "Organisational capabilities can’t be developed quickly if they don’t already exist". Now, this can be a great inhibitor. You know how it is like with this preoccupation called called "busyness". Could you share some of your experience how you approached this?. I would not exclude GM as a good case study. I mean Katy Barclay sat at the executive table for 10 years and ended up being jointly accused of "destroying GM". Eventhough the blame seem to revolve around bloated bureacracy and union, I want to hear her side of the story and how it all added up in HR failing to "add value" towards building organisational capabilities. I am keen on performance accountability, governance and leadership culture and events leading to after-thoughts. I agree organisational capability is a remedy to overused outside bias. It is in essence a different way of competing - see http://strategic-hcm.blogspot.com/2007/12/organisational-capabilty.html. And yes, people clearly have a key role in implementing strategy. It's important we don't forget this. But it's important we don't forget the role of people in forming organisational capability and providing competitive advantage too! I don't want to overdo my point about not being able to develop organisational capability quickly - anything's possible if there's enough will. But for most organisations, it's going to be a lot easier to develop organisational capability which really is at the heart of competitive advantage - if it's done this way. It's a bit like culture. In fact, when people talk about culture, they often mean organisational capability, or at least, the big idea / mojo at the heart of this. I'll post on this shortly - maybe this month, or certainly by the end of September. And GM - no, I agree. I only mentioned in because Andy in his comment used it as an example to support Ulrich's inside out approach, and actually, I don't think it does help that argument at all. But it's not a company I know much about.